It is a part of the Pittsburgh Cultural Trust’s Pittsburgh International Festival of Firsts. Ducky is “docked” in the Allegheny River by Point State Park and was welcomed with a huge “Launch Party” (that, sadly, I had to work during and missed). He shall be our big yellow guest until the end of October. Lets just say that this thing is so *ducking* cute that I purchased the small replica Ducky…and found a prime photo opp! DOUBLE DUCKS! Clearly, it was a gorgeous autumn day in Pittsburgh and a perfect day to visit the Duck. Taken with the Canon Powershot G12! This Duck is huge!! Jay and I with Rubber Ducky. Another “oldie but goodie” before we move on to St. John, USVI photos! I have always loved Phipps Conservatory in Pittsburgh, but no show there was more spectacular than when famed glass artist Dale Chihuly created unique pieces for display throughout the conservatory from 2007-2008. My absolute favorite was this “dreamscape” of multicolored glass orbs floating in a boat on one of Phipps’ water features. Take a peek below for a close-up of the glass orbs! Well, it may be a bit after the holidays, but I completely forgot to post this in a more timely manner!! 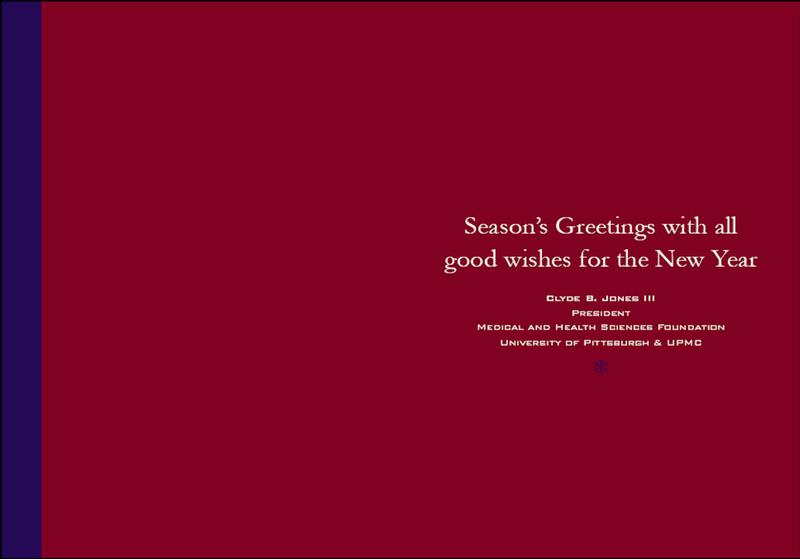 A few weeks ago, I got an email from my PI at my old lab that I worked at in undergrad saying that one of the images I took on the scanning electron microscope (SEM) was being used for one of the University of Pittsburgh Medical Center’s (UPMC) holiday cards! Obviously, I was floored! So, here it is: the holiday card featuring my SEM image of “Dog Vomit Mold.” No joke. That’s the name of it. Scientific name: Fuligo septica. I scraped it off the mulch in front of my brother’s house years ago, processed it for SEM, and took pictures! Mmmmm….nothing says happy holidays quite like dog vomit mold. At least the image is colored blue so they sort of look like snowflakes! Hope everyone is starting 2011 on the right foot! Happy New Year! P.S. Stay tuned for a few more relics from my undergrad research days…and more photography! This lovely lady is Anika, one of my family’s “fuzzies.” She is quite fond of being photographed–to the point of pushing other cats out of the way when she sees the camera come out (no joke!). For those of you wondering, she is a purebred Siberian cat and has such a lovely disposition! And I just couldn’t decide which to post, so here are both! Feel free to vote in the comments section for the one you like best! P.S. Sorry for the delays between posts! Third year just keeps me so stinkin’ busy! The photo is of the Pittsburgh skyline in May, as seen from the banks of the Allegheny River (directly across from Point State Park). It was a river-fest with free kayaking…hence all of the little banana-like things in the picture. And yes, I did kayak. And yes, it was great fun. The image was taken with the (now stolen) Olympus Stylus 820. Post-processed in Photoshop CS3 for contrast. DON’T POLLUTE YOUR WATER SUPPLIES!!! Keep them fresh and safe for yourself and generations to come. I finally made it to the Big Apple! About time, considering I’ve been living a mere 2 hours away from it for an entire year now! The wonderful future Dr. Heather served as one of our guides…and certainly showed us some impressive sights. My next few posts will be shots that I took in NYC. This photo was taken from on the Brooklyn Bridge, back to Brooklyn, facing Manhattan. A much longer bridge than I thought…nearly 1.2 miles. Guess I’m just used to Pittsburgh’s myriad bridges (446 to be exact) which happen to be a fraction of the length of this puppy. Anyhoo, I couldn’t resist taking this classic shot of the Brooklyn Bridge. Another classic shot that I couldn’t resist taking was what I call my “chick flick pic”. The boyfriend and me stealing a quick kiss on the bridge with a backdrop of NYC, complete with a popped leg. And no. I’m not posting it. A lady has to leave something to the imagination. So, enjoy the Bridge. Taken with the fabulous Canon G7 and post-processed into and HDR image. And keep checking back for more city shots!